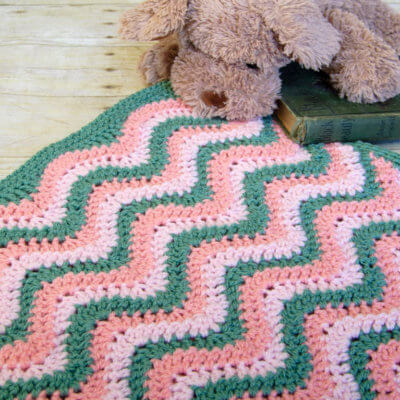 Crochet baby blankets are often treasured well beyond babyhood and often kept as special keepsakes. 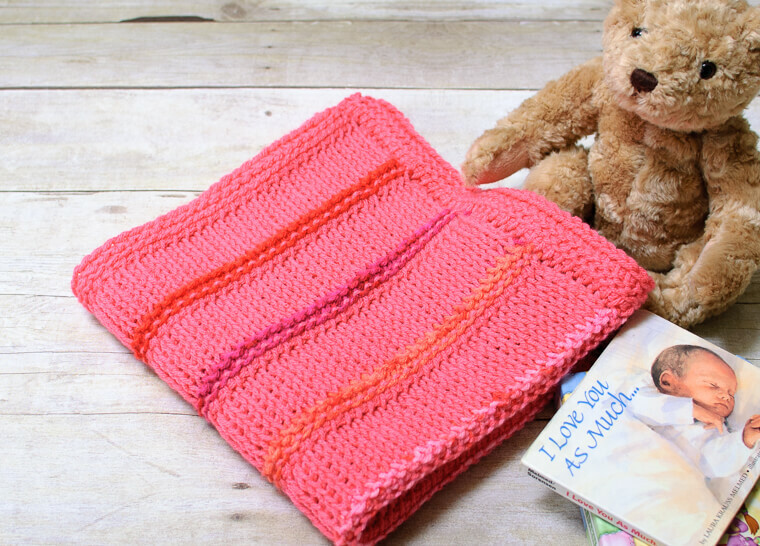 Create your own handmade set by pairing a blanket with a crochet baby hat for an adorable baby shower gift! A 30 in. x 30 in. size is perfect for newborns, however sizes can go up to 47 in. for swaddling blankets. This square shape also works well for car seats. A granny square blanket works great for these! A 28 in. x 44 in. blanket is a good size for a stroller ... not too big to be catching on the wheels, but big enough to keep baby cozy. Crib blankets are often the most used blankets after the initial newborn phase. They are perfect for cuddling and large enough to set on the floor for baby to play on. 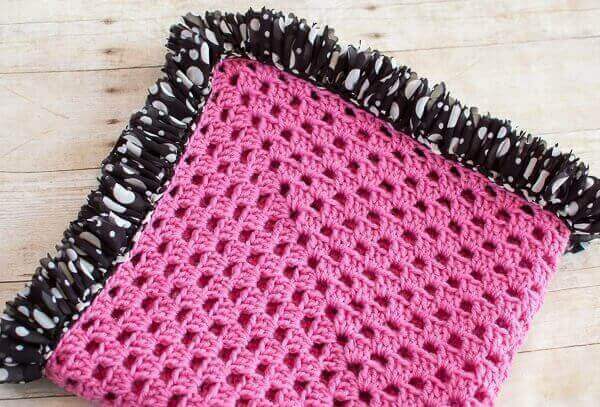 A standard crib blanket size is 36 in. x 52 in. It's important to keep in mind the American Association of Pediatrics crib safety recommendations against using a blanket in a crib. 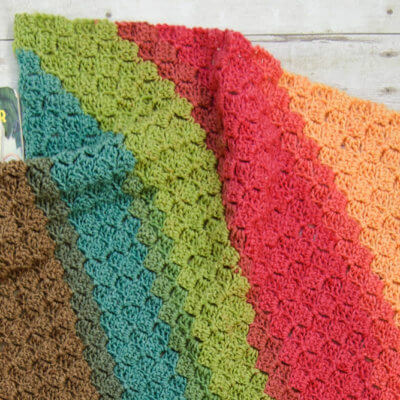 You can find more patterns for baby here, as well as baby-friendly yarn recommendations.